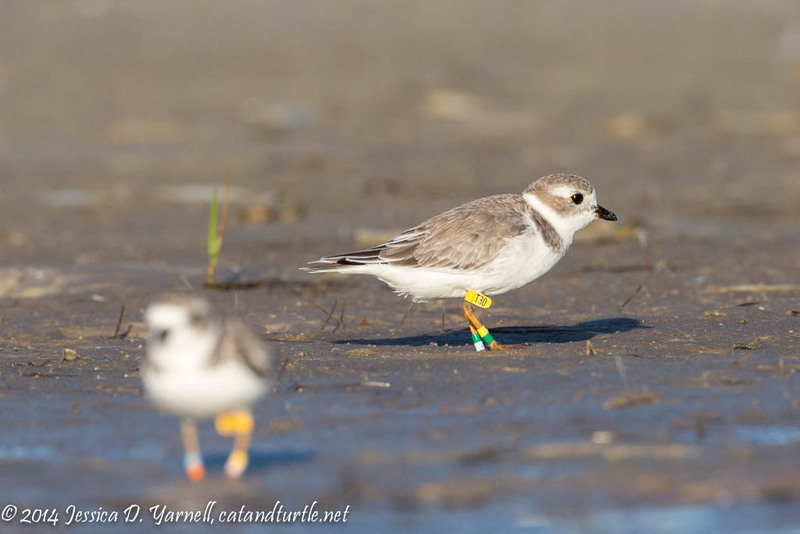 Blog > Beyond the Backyard > Fort De Soto > Lifer Snowy Plover at Fort De Soto! Rich and I spent a night at Fort De Soto last week, right before the long Labor Day weekend. I like visiting Fort De Soto during the week!! The beach wasn’t crowded at all. I was the only photographer on the beach for a good part of our visit. I scored a lifer Snowy Plover on North Beach, along with a bunch of Piping Plovers (two banded). The Piping Plover is a Florida state bird for me, as I’d only seen them previously in Massachusetts. All together, it was a four-plover weekend. Not bad! I was surprised to see lots of Piping Plovers running around. They migrate through Florida each year during the spring and fall, so there’s a limited window of opportunity to see them. 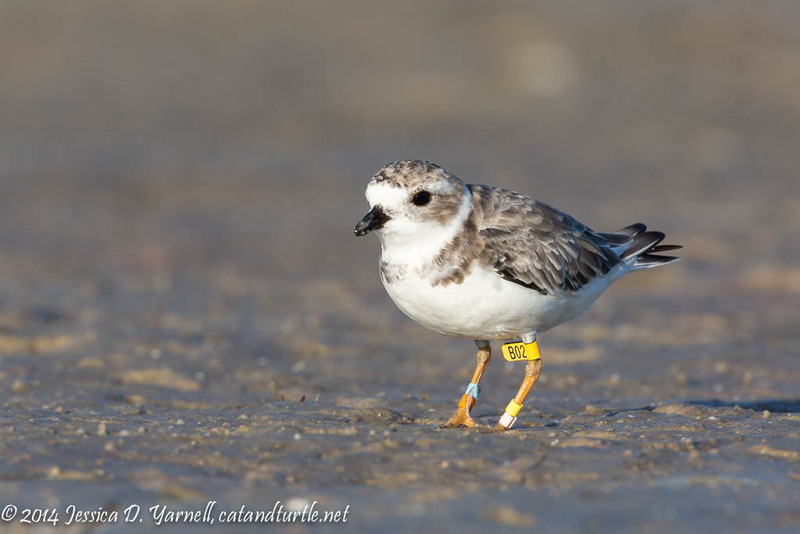 I was happy to find two banded Piping Plovers, and I made sure to get photos of the bands, which I am reporting to bandedbirds.org. The plovers all look kinda similar, so I’m including photos of the other two plovers that I saw this weekend. (They are some of the shorebirds that I can actually identify. I’m still working on some of their sandpiper cousins!!) The above is a Semipalmated Plover, who has also lost the dark lines of his breeding plumage. He is darker than a Piping Plover, and the dark bar wraps all the way around his chest. This last plover is a Wilon’s Plover. They are a little bigger than the other plovers. Snowy Plovers and Piping Plovers are described as “more cute”, and although that sounds like a subjective interpretation, it’s easily understood once you’ve seen all four birds in person! Congrats on the lifer snowy. I’ve only seen one in my travels and it was at FD as well. I’ll have to check the archives but I may have a shot of B02 from last Fall. Very nice to snag the Snowy! AND get nice photos! What a great place the Fort is!